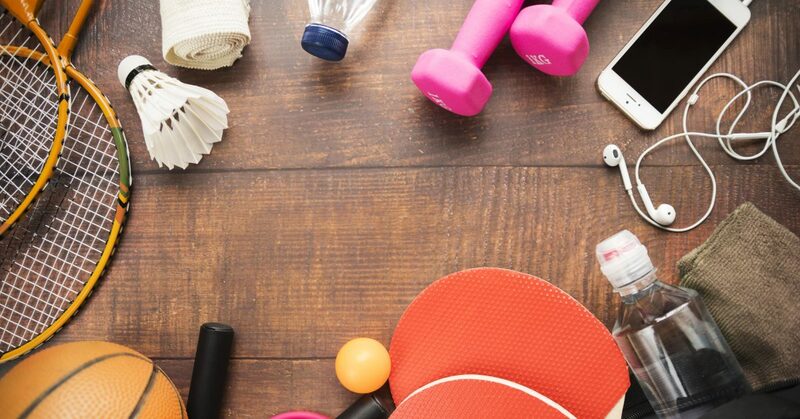 The global sporting goods market exceeded $60 billion in 2018 and is expected to record noteworthy growth in the next five to six years according to a recent research report. Much of the growth is due to the shift from in-store purchases to online shopping. Online sporting goods stores experienced a whopping 159% growth in recent years. Consumers are becoming more dependent on their digital devices and smartphones to browse and make purchases. The news from sports retailers over the past year has been varied. The constantly changing models of sports equipment, rising competition, extremely cost sensitive consumers and the seasonality of sports, to name a few, keep retailers always on their toes. The red-hot athleisure mega trend market is paving the way to exponential growth. Other factors include consumer interest in fitness, healthy lifestyles, celebrity endorsements, and the power of social media. Altogether, they signal a bright future and continued online growth in the sporting goods industry. There is no denial that the sporting goods industry is one of the most dynamic industries with constantly changing trends and product interests. Retailers need to keep a close eye on these challenges to maximize their ecommerce opportunities. Competition from Amazon: Recognizing that 52% of online shoppers turn to Amazon for apparel has the sportswear industry feeling the pressure. Online retailers are forced to face the Amazon problem -- how to compete or coexist with the ecommerce behemoth. Customer service, omnichannel marketing and highly specific engagement strategies are more important than ever. Personalization: Consumers want to stand out yet fit in – hence the demand for personalization. The desire for all things personalized is important – but it’s hard. Gartner predicts that by 2020, smart personalization engines used to recognize consumer intent will enable digital businesses to increase profits by up to 15%. Omnichannel Retail Strategy: 73% of respondents in a recent HBR study reported reported they use multiple channels to do their shopping. They expect an in-store experience that seamlessly blends with their online shopping experiences. 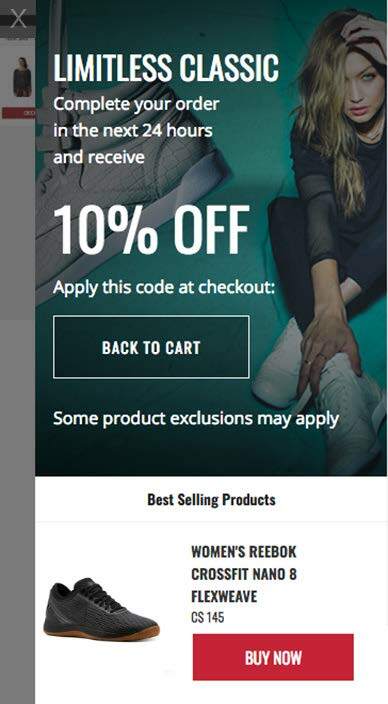 Sporting goods marketers must optimize every stage of the customer journey across their own branded online store along with the popular marketplaces and social media platforms. The average online shopping cart abandonment rate is 69.89%, according to the Baymard Institute, an independent web research institute. That’s too many lost orders and potential customers. Here’s how adidas Group Canada solved that problem and bagged additional sales. adidas Group Canada wanted to increase online sales and conversions throughout the customer journey. They adopted an onsite engagement solution from Cybba to reduce website abandonment and re-engage users without disrupting their overall user experience. Solution: Adidas applied an onsite overlay to engage users who were about to leave the site. This enabled adidas to harness data and insights to provide personalized content to consumers and drive them to convert. Results: The campaign lead to a 36.32% engagement rate for the onsite engagement solution and a 20.45% overall conversion rate. Retargeting and onsite engagement have proven to be critical tactics to boost eCommerce sales. Rigorous campaign testing and analysis can provide in-depth insight into consumer shopping behavior on web sites. This highlights how and what personalized messages work best to engage and convert abandoning users in an ever-competitive market. Online retailers have achieved engagement rates on campaigns of 40%. Testing and analysis should be ongoing as users evolve and as retailers modify strategies based on data-driven results. What’s more, with the combination of eCommerce and social media integration, social reviews can be leveraged to build trust faster. The results are improved conversions, and customers who become your brand ambassadors. Find out how to make every customer touchpoint count. Neela Ahmed is Vice President, Cybba Canada and UK. Neela’s expertise lies in improving consumer experience and enhancing online engagement. For any inquiries, contact her at neela.ahmed@cybba.com.